The National Service dilemma: what happens when PRs want to skip it? Graduating from high school this week? Welcome to NS! At the age of 18, if you are a Singaporean citizen or a permanent resident you are required to register for the National Service unless you have been deferred for your enlistment date to finish secondary level education or polytechnic courses. Enlistees getting ready to begin the National Service with a haircut. Under the Enlistment Act, every male Singaporean citizen and second-generation permanent resident is required to serve a two-year period as a full-time National Serviceman (NSFs). One can fulfil their service either in the Singapore Armed Forces (SAF), Singapore Police Force (SPF), or the Singapore Civil Defence Force (SCDF). A complete exemption from the National Service is very rare because of the tightened policies over the years to avoid possible draft evaders. Those who are completely exempted from NS usually have permanent disability or severe medical conditions which would have to be examined by the Singapore Armed Force Medical board before being declared unfit. For many, NS is looked upon as a “waste of time” as the world is hiring many young people. This means as a full-time National Serviceman, the two years set you back from college or pursuing your talents and furthering your strengths and some consider it a crucial disadvantage in the long run. 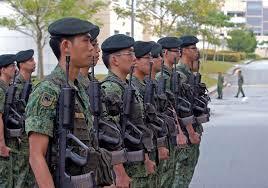 Members of the Singapore Armed Force during a march. Because of severe punishments, almost all citizens who are medically cleared to do NS end up completing their term. If a Singaporean citizen is caught defaulting National Service, they are subject to a fine not exceeding $10,000 or a jail term not exceeding three years or both. Also, they are made to serve National Service after completing the jail term and/or paying off the fine. It makes sense for Singapore nationals to participate in NS, but should residents face the same requirement? 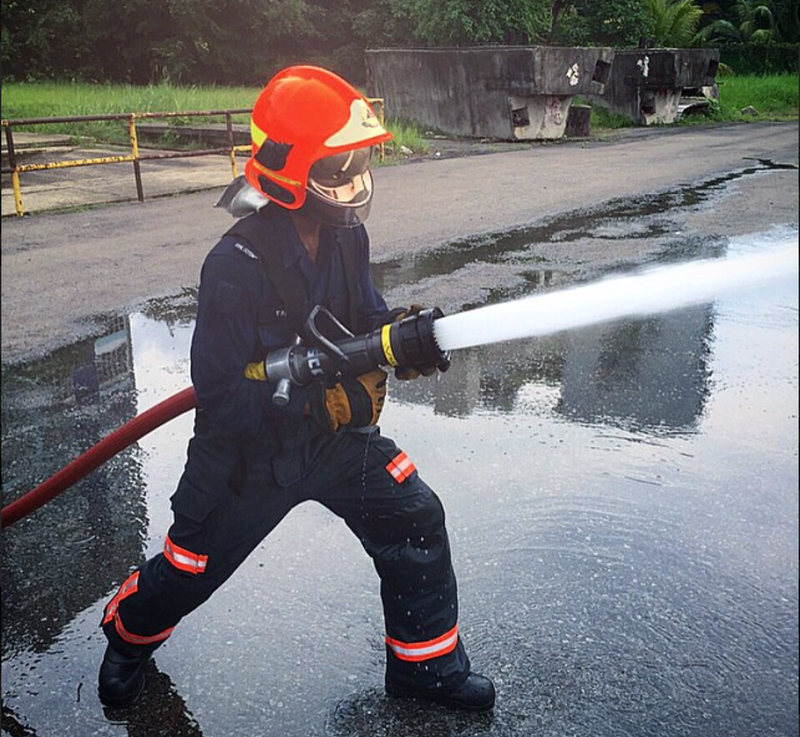 Former SAS student, Farees Choudhury putting out a fire during training in the Singapore Civil Defence Force. While the government has one view upon the requirement of Permanent Residents to do National Service, many Permanent Residents have a contrasting opinion regarding the conscription. There are fewer consequences for a permanent resident to cancel their PR status and avoid their service. Between 2006 and 2011, about 8,800 males who had become permanent residents under the sponsorship of their parents were enlisted for and served National Service. On the other hand, 4,200 males who had become permanent residents under the sponsorship of their parents renounced their PR status prior to serving National Service. Their failure to serve NS will be taken into account should they attempt to apply to return to Singapore to study or work. There is a lot of controversy regarding whether permanent residents should have to serve along with the Singaporean citizens in the National Service. Some agree to Singapore’s law and others do not. But for now, Singapore still requires both Permanent Residents and citizens to serve.